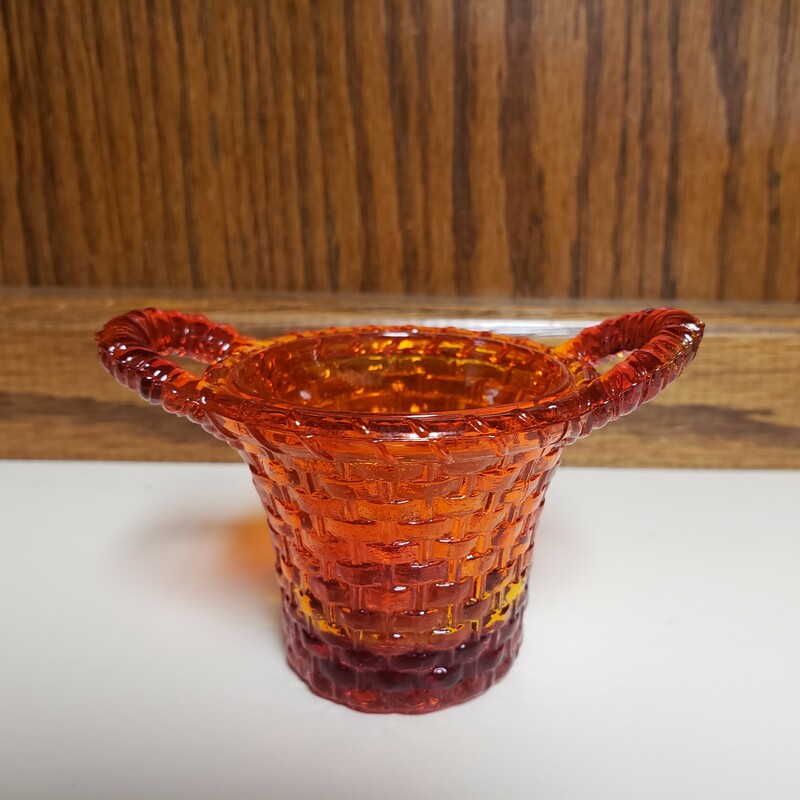 Degenhart Woven Basket Toothpick Holder in Amberina, Bargain Shack offers Boyd Glass, Mosser Glass, L.G. Wright, and Contemporary Collectible Glass including Vaseline Glass - J.B. Scottie Dogs, Pooche, Animal Covered Nests, Toothpick Holders, Salts, Glass Animal Figurines, Clowns, Dolls, Slippers, Vehicles, and More! Degenhart Glass was the precursor to Boyd Glass. When Mrs. Degenhart decided to close up shop there was only 1 person to whom she would sell her business and that was Bernard Boyd. This is a beautiful Degenhart Woven Double Handle Toothpick Holder in the highly collectible color Amberina. It stands 2-1/4 inches tall and is 3 inches wide. It is in excellent condition with no chips or cracks. It would be a great addition to any collection. I only have one in stock so order today!